My husband was fired, I made him a celebration cake. Homer Griffin counter surfed at 2:00 am and devoured it. 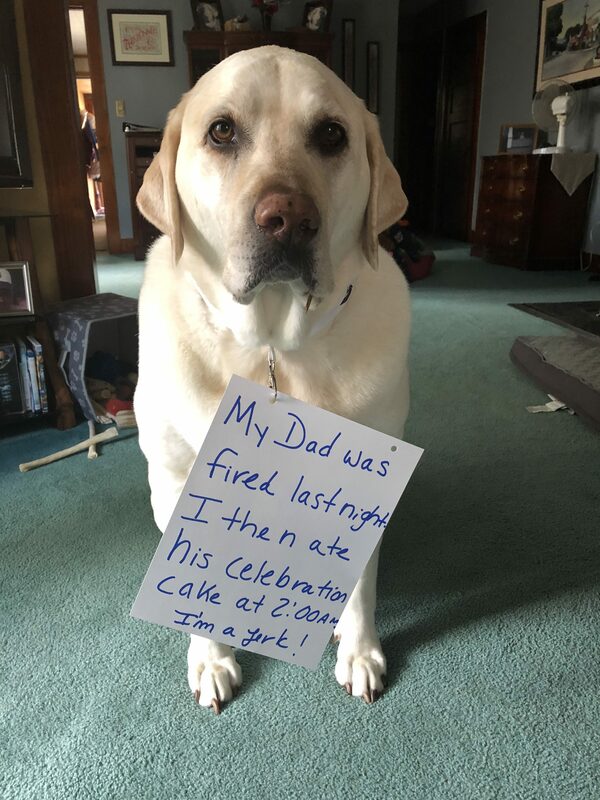 The post Ce’LAB’ration Cake appeared first on Dogshaming.